We do not have a commercial licence for printable products as resolution on printable products is set to a level suitable for home printers, but would not be suitable for most commercial applications. If you are interested in volume licensing, please email me with an outline of your requirements and I will be happy to discuss terms. Please read the terms of each licence carefully to ensure you are selecting the correct one at the time of purchase. By purchasing any printable or digital electronic product from this website, you are deemed to have read and accepted these terms. Use this file on any personal computer that you own in order to print out copies of the pages contained in the file. Use those printed pages in your own hand-crafted artwork such as scrapbook pages, greetings cards or mixed media pieces (for example). Sell the items that you make using the printable pages, so long as the item is handmade by you (e.g. an individual greeting card or scrapbook page) and isn't simply a printed copy of one or more pages from the file. This includes selling your own artwork at craft fairs, charity stalls or online (e.g. through an etsy shop). 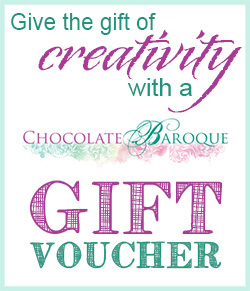 Submit finished artwork to magazines or websites for inclusion in project pages or articles, so long as you provide the publisher with details of the particular designs or printable products that you have used and make it clear that these are Chocolate Baroque Ltd products. Make a backup copy of the printable file (on CDROM or external disk or similar physical media) for your own use in the case of computer failures or similar problems. Print out and resell pages or share copies of them or give them away to other persons. Give or sell electronic copies of the printable file or its contents to other persons, whether that is by means of copying the file to a CDROM or other physical device or by transmitting the file electronically via email or by uploading it to bulletin boards, forums or similar systems. Electronically change or modify the file or any of the pages or designs contained within it using image-editing programs or other software, other than adding text or similar elements where the file itself includes designs that provide a mechanism for you to do so. Print out additional pages to be used by students who are attending a class or workshop that you are running. Print out and resell pages or share copies of them or give them away to other persons (other than providing copies of pages to class or workshop students as specified above). The digital download that you have purchased contains designs that are copyright. These designs are protected under UK and international copyright law and, by purchasing and downloading this product, you are agreeing to the terms of the following licence. Use this download on any personal computer that you own in order to print out copies of the designs included within it. Use this download on any personal computer that you own in order to import designs into scrapbooking, image-editing or similar software so that you can incorporate the designs in new digital artworks of your own. Use the designs, or your own artwork including the designs, in your own hand-crafted items such as scrapbook pages, greetings cards or mixed media pieces (for example). Use the designs, or your own artwork including the designs, in electronic form for personal (non-commercial, unpaid) purposes, for example on a personal website or blog, etc. Sell physical items that you make using the designs, so long as the item is handmade by you (e.g. a greeting card or scrapbook page) and isn't simply a printed copy of one or more designs. This includes selling your own art products at craft fairs, charity stalls or online (e.g. through an etsy shop). 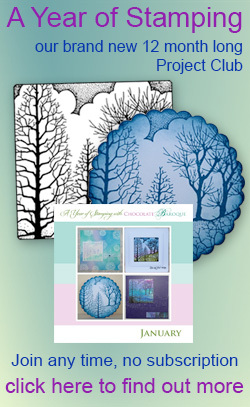 Submit finished artwork (physical or digital) to magazines or websites for inclusion in project pages or articles, so long as you provide the publisher with details of the particular designs or downloads that you have used and make it clear that these are Chocolate Baroque Ltd products. Make a backup copy of the download (on CDROM or external disk or similar physical media) for your own use in the case of computer failures or similar problems. Copy or print and resell the original designs or share copies of them or give them away to other persons. Give or sell electronic copies of the original designs to other persons, whether that is by means of copying to a CDROM or other physical device or by transmitting the design electronically via email or by uploading it to bulletin boards, forums or similar systems. The digital download that you have purchased contains designs that are copyrighted. These designs are protected under UK and international copyright law and, by purchasing and downloading this product, you are agreeing to the terms of the following licence. Use the designs, or your own artwork based on the designs, in electronic form for commercial purposes, for example on a commercial website or for sale to clients to whom you are providing art and design services, so long as you provide your finished artwork in a flattened format, such that the original design elements that you used cannot simply be extracted and reused by your customers or clients. Sell mass-produced copies of your artwork (e.g. commercial print-runs taken from your original physical or digital artworks). Any breach of these terms will be pursued to the fullest extent in a court of law.